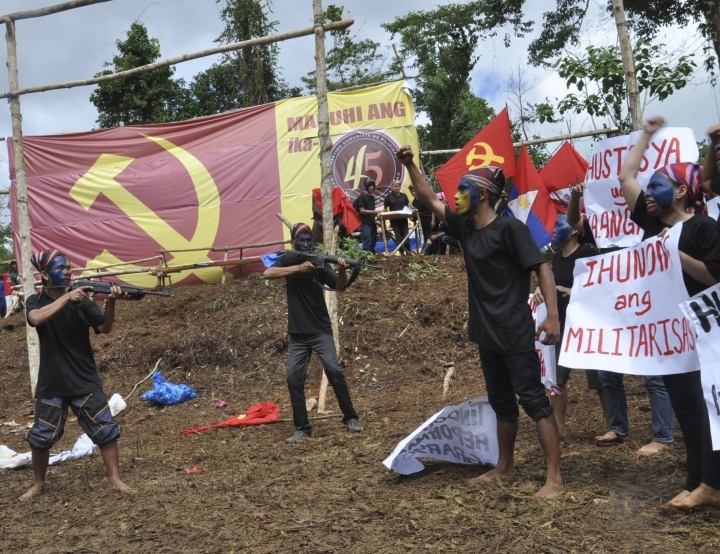 AP EXPLAINS: Who are the Philippines' communist rebels? 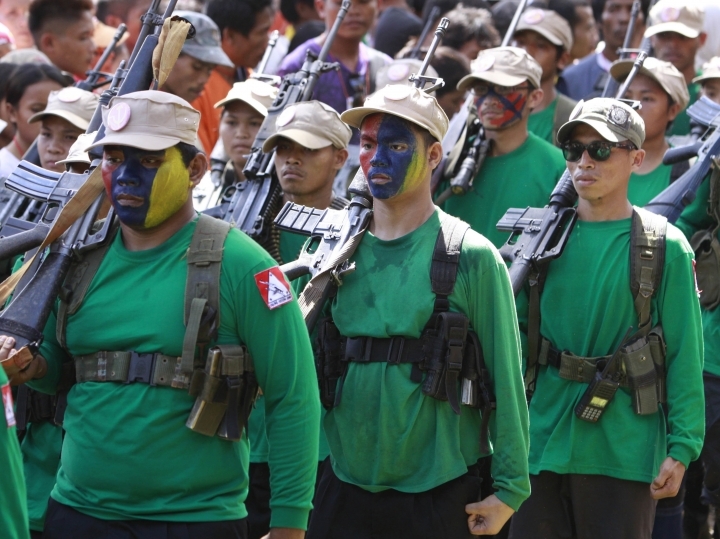 MANILA, Philippines — Communist rebels in the Philippines have fought one of Asia's longest-running insurgencies. 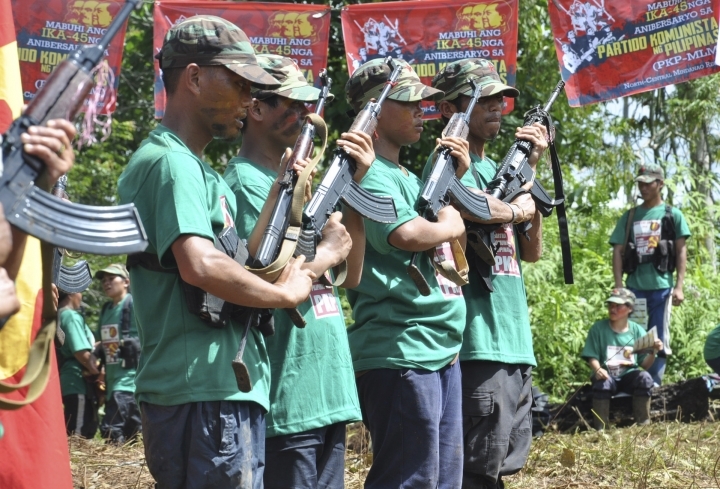 Although less numerous and less violent than Muslim separatist rebels in the country's south, the Maoists have outlived successive Philippine administrations and held out against constant military and police offensives, relying on clandestine cells to pass on orders from exiled leaders. The new Philippine president, Rodrigo Duterte, has made peace with the rebels a priority, and a new round of marathon peace talks brokered by Norway opens in Oslo on Monday. The rebels trace their roots to a communist party whose guerrilla wing helped fight Japanese occupation forces in World War II. After the liberation and the Philippines' independence from the U.S., however, the leftists were politically sidelined and armed rebels crushed. In 1968, the Communist Party of the Philippines was re-established on Mao Zedong's birthday, proclaiming as its goal "the protracted peoples' struggle" modeled on China. The rebels' ranks swelled after dictator Ferdinand Marcos declared martial law in 1972. The armed wing of the Communist Party, the New People's Army, set up jungle camps all over the sprawling archipelago as launching pads for raids targeting the military and police, large agricultural and mining estates as well as U.S. forces, which maintained big overseas bases until 1991. The insurgency has left about 150,000 combatants and civilians dead since it broke out, drawing support from the ranks of those dissatisfied with economic inequality and the Philippines' alliance with the U.S. It also has stunted economic development, especially in areas of the countryside where the rebels are active. The rebels missed an opportunity to win wider political clout when they boycotted a historic 1986 snap election, which was dismissed as a sham and led to the overthrow of Marcos in a "people power" revolt and restoration of democracy. President Corazon Aquino freed the rebel founder, Jose Maria Sison, from prison and opened peace talks. However, Sison fled into exile in the Netherlands and the talks broke down. In 1987, the rebels killed three American soldiers in separate attacks near Clark Air Base. In 1989, they assassinated U.S. Army Col. James Rowe, who was providing counterinsurgency training to Filipino troops. By the early 1990s, differences over strategies led to a split in the rebel ranks and a bloody internal purge that left hundreds dead, further weakening the rebels, whose numbers dwindled to a few thousands from a peak of 25,000. The remaining fighters have relied on so-called "revolutionary taxes" for survival — extorting money from businesses, or blowing them up if they refuse. The government accuses the rebels of kidnappings and providing guns-for-hire, saying they've become bandits and a spent ideological force. Peace talks started again in 1995, and made progress with the government pledging immunity from arrest and safe movement for rebel negotiators. The two sides later reached another agreement on the respect for human rights and humanitarian law. The negotiations again broke down, and resumed in 2001. However, the rebels withdrew from talks when the U.S. government, followed by the European Union, placed them on a list of terrorist organizations. Under Duterte's predecessor, Benigno Aquino III, peace talks stalled over the government's refusal to heed a rebel demand for the release of some captured guerrillas who were to serve as peace talks consultants. Duterte, however, has agreed to the release of rebels who are involved in peace talks, and appointed two allies of the guerrillas to Cabinet posts in concessions that fostered the resumption of talks.